As has been highlighted in several of the keynote speeches and breakout sessions, cracks in the foundation of Israel’s most critical alliance have caught the wider establishment by surprise. Is AIPAC capable of repairing the fissures? (March 25, 2019 / JNS) Each year AIPAC gathers nearly 20,000 of America’s proudest and most active pro-Israel advocates together for discussions of contemporary issues in Washington, D.C. If the entire Jewish community in the United States looked like a plenary session at the AIPAC policy conference, the Jewish people and the State of Israel would be in great hands, capable of solving nearly every challenge that faces the Jewish nation from abroad. Anyone coming to the policy conference for the first time will be overwhelmed by the pro-Israel sentiment. The ability to bring such a large contingent from around the country is testament to years of hard work building the strength of the America-Israel alliance. Yet as has been highlighted in several of the keynote speeches and breakout sessions, cracks in the foundation of Israel’s most critical alliance are spreading. Many of these cracks have caught the wider AIPAC establishment by surprise, raising critical questions as to whether the pro-Israel lobby is well positioned to repair the fissures. For decades, AIPAC’s influence has revolved around its ability has to mobilize members to financially support the campaigns of local officials that actively support Israel. They then lobby those same members to support congressional allotments for Israeli defense and other relevant security issues. Towards the close of President Barack Obama’s term in office, Israel and the United States signed a historic 10-year, $38 billion defense deal to provide for Israeli security. There can be little doubt that the deal was built on the foundations for American support of Israel’s defense established by AIPAC. Yet in 2015, neither Obama nor Israeli Prime Minister Benjamin Netanyahu turned to AIPAC or to the Congress to negotiate terms. Rather, the largest such deal in either America or Israel’s history was negotiated directly between the two administrations. By signing the deal directly, Obama was able to take full credit for providing for Israel’s defense, while for the first time depriving AIPAC of its role of lobbying congressional representatives. AIPAC chose to tread carefully when Obama promoted and signed the Iran nuclear deal—known as the Joint Comprehensive Plan of Actions, or JCPOA—despite staunch opposition to the deal by Netanyahu. Quietly, many pushed back on Netanyahu for actively opposing the deal, including through a controversial speech from the floor of the House of Representatives. While the Iran deal did little to make Israel safer, AIPAC chose their relationship with the party of a president who was at times hostile to Israel, over their relationship with one of Israel’s most successful and longest-serving prime ministers. Ironically, it was Netanyahu’s willingness to challenge Obama from the floor of the US Congress that gained the Israeli leader credibility in a Sunni Arab world that is similarly challenged by the Shiite-led Iran, and helped Israel to dramatically improve its previously non-existent relations with Sunni Gulf States. AIPAC played a role in the promoting passage of the bipartisan Embassy Relocation Act signed into law 25 years ago, and since then, both Democratic and Republican presidents starting with Bill Clinton repeatedly signed the six-month waiver delaying the act’s implementation. Yet many do not credit AIPAC, but rather the evangelical Christian community and staunch Republican backer Sheldon Adelson who are credited with pressing then newly elected Trump to officially recognize Israel’s sovereign rights to its historic capital and formally move its embassy from Tel Aviv to Jerusalem. On Monday, Trump formally announced America’s recognition of Israeli sovereignty in the Golan Heights, another major and unprecedented diplomatic achievement for Israel. This, too, was accomplished without pressure from AIPAC and even took much of the American Jewish establishment by surprise. In 2018, Congress passed the Taylor Force Act, which cuts U.S. funding to the Palestinian Authority in amounts equal to those paid out by the P.A. to jailed terrorists and families of martyrs killed in the act of attempted murder of Jews. The sophisticated P.A. terror funding and incitement scheme, appropriately termed “pay to slay,” is one of the most horrific violations of the Oslo peace process. However, AIPAC wasn’t the entity to push for the passage of the law. Credit goes to American hedge-fund executive Sander Gerber, who identified and researched the scheme, then linked up with Stuart Force, the father of a young U.S. service veteran, Taylor Force, who was killed in a terror attack while he on a graduate-school visit in Israel, and worked tirelessly to get the law passed. When Gerber, himself a former AIPAC mega-donor and board member, began actively pushing for the United States to withhold funding that would end up in the hands of terrorists, AIPAC urged him to stop. Gerber chose to forego his AIPAC board membership while AIPAC chose to forgo Gerber’s annual gift. In an unprecedented achievement, Gerber almost single-handedly pushed to get the Taylor Force Act passed through Congress in March of 2018. In the past several years, many Democrats have taken a harsher tone towards Israel while Republicans have doubled down on their support for Israel. As American Jews have historically voted for Democrats, it’s both ironic and troubling that the party supported by Jews has become less pro-Israel than the party supported by evangelical Christians. AIPAC has been careful not to publicly criticize the progressive Democrats so as not to offend the party. It took Republican Vice President Mike Pence on Monday to call out the Democratic congresswomen who have said that Israel is buying off their congressional colleagues, as well as take to task 2020 Democratic presidential hopefuls who vocalized that they were avoiding the conference, even though no official invitations go out to candidates. And last week, another AIPAC mega-donor, Adam Milstein, went on the counterattack, tweeting messages demonstrating the known connections of Rep. Rashida Tlaib (D-Mich.) and Rep. Ilhan Omar (D-Minn.) to the Council of American-Islamic Relations (CAIR), as well as claiming that the anti-Israel organization does not share typical American values. Yet instead of backing its longtime funder, AIPAC preferred that Milstein step down from his role as a moderator of a panel on anti-Semitism in this year’s conference. While AIPAC has treaded carefully around Democrats’ comments about Israel, they re-tweeted a statement by the American Jewish Committee (AJC) harshly criticizing Netanyahu for helping to broker an alliance between certain religionist Zionist factions vying for seats in the upcoming Knesset. It was the first time AIPAC had ever commented on internal Israeli politics, and the statements took many Israelis, and particularly Netanyahu, by surprise. While AIPAC supports Israel’s democratic values, it must allow for the Israelis alone to determine which ideals are represented in its democratically elected parliament. The tweet, along with the other recent examples, demonstrates that AIPAC must re-evaluate its mission and actions in the face of growing challenges. Otherwise, it will be the 20,000 staunchly pro-Israel activists in attendance that will carry the banner of AIPAC, while the organizers of the conference will continue to have diminishing impact on policies critical to the Jewish state. 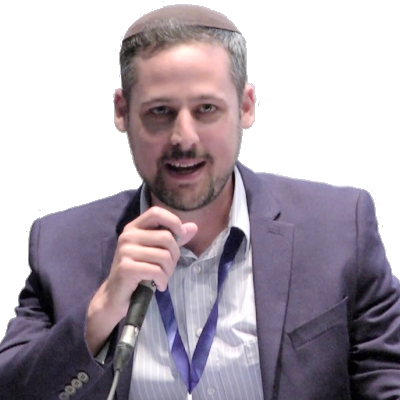 Alex Traiman is managing director and Jerusalem Bureau Chief of Jewish News Syndicate.